The Utah Department of Transportation’s Student Neighborhood Access Program (SNAP) recognized West Elementary as a Top Walking and Biking School in Utah for ranking in the top one percentile of schools participating in safe walking and biking to school programs. Parents at the school created 17 Walking School Bus groups using UDOT’s Walking School Bus app. 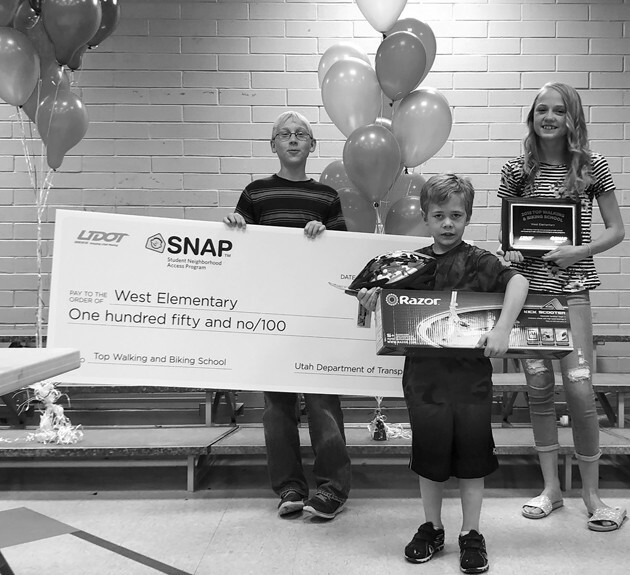 UDOT’s SNAP Awards congratulate and recognize districts, schools and individuals who have helped foster the adoption of safe walking and biking and participation in SNAP programs. 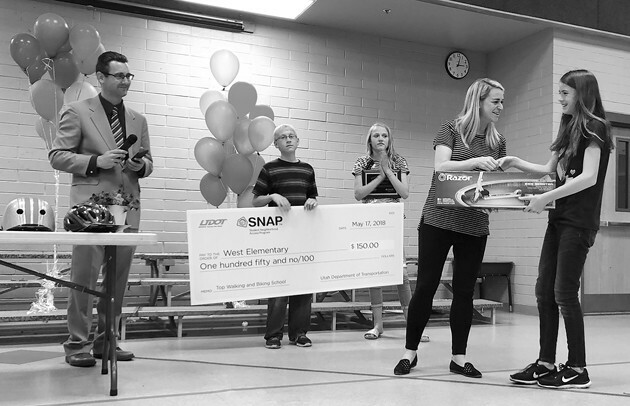 Those awarded were selected out of a pool of 700 Utah schools and districts based on participation in UDOT SNAP programs and interactions with UDOT SNAP officials. 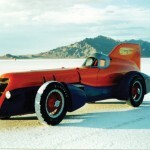 For more information on UDOT SNAP, visit udot.utah.gov/snap/.